Here are a couple of pics of my keezer. This is my first try with photo bucket.I hope it works. Last edited by Lylo on Sun Jan 26, 2014 5:44 pm, edited 1 time in total. 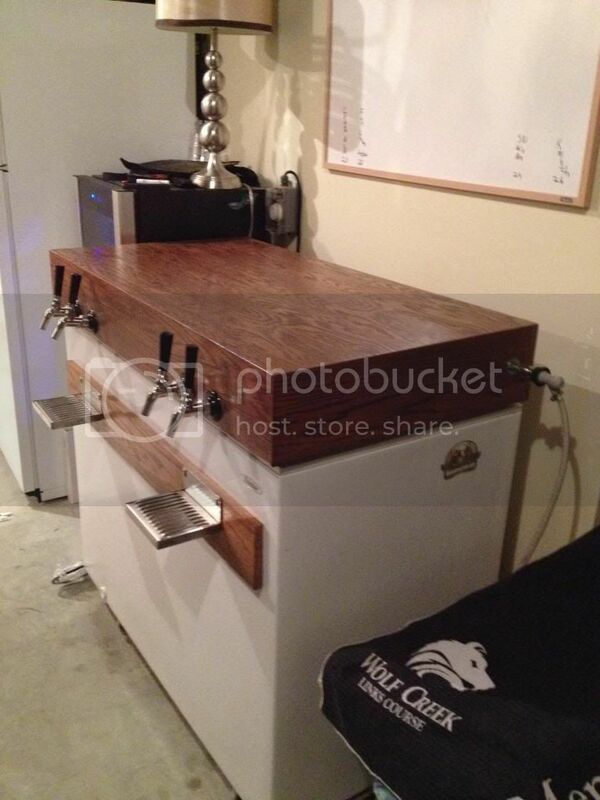 Wow - 5 keg capacity, looks really nice! Yeah, I have a cabinet business so was able put the skirt together at the shop. I only put in 4 taps and use 1 space for lagering and conditioning. I think one of the best things, is the external co2 connection. 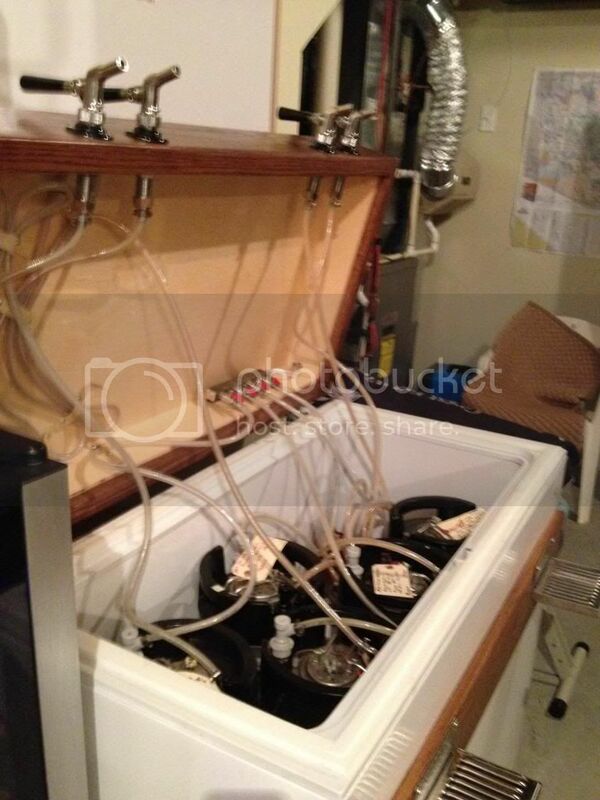 This saves space in the keezer an makes it easy to purge kegs. Also I went with the full lid instead of having the lid sit on the apron. I am gettin a little old for lifting those full kegs any higher than neccesary! Last edited by Lylo on Wed Jan 29, 2014 4:39 am, edited 1 time in total. Lovely wood grain - is it stained maple? That is oak veneer that I glued onto plywood. I actually sandwiched 1 inch Styrofoam between 2 layers of 1/4" plywood. then veneered the outside. This made the whole thing very light but rigid.